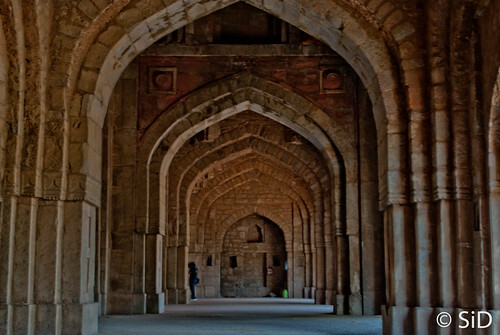 Quli Khan is the lesser known brother of Adham Khan – who was (in) famously thrown from the Agra fort by Akbar. But before all that, Sir Thomas Metcalfe made this tomb into a classic retreat home – on the lines of today’s farmhouse and called it Dilkhusha. He removed the grave of Quli Khan and made that room as his dining hall. The blue interiors look magnificent even today and on the outside there was a sprawling garden. Streamlets of water used to flow down from the house towards a dovecote – some of whose bricks are used from ancient temples which were perhaps broken down to build the monuments (like Qutub Minar) that we see today. The whole place gave a tough competition in its magnificence to the Zafar Mahal (Bahadur Shah’s summer retreat) in the same Mehrauli area. 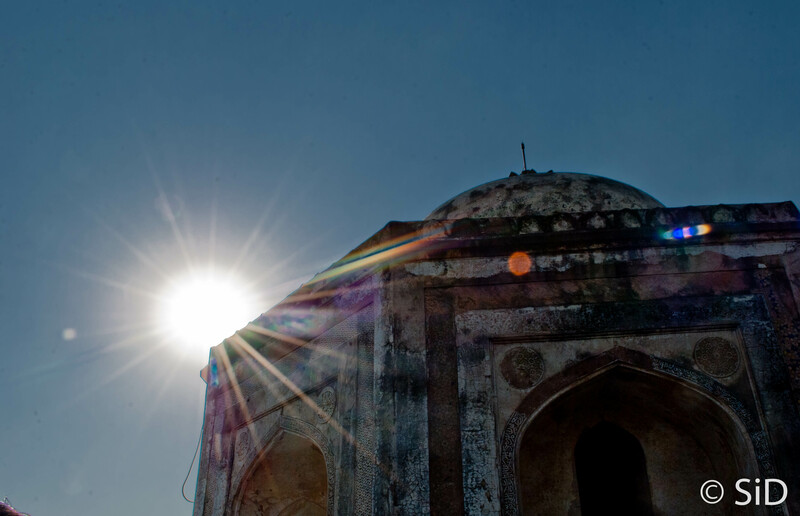 But one thing that still eludes is some information on Quli Khan himself – whose grave has now been restored and who peacefully lies where perhaps Metcalfe’s dining table stood a century and half ago. Adham Khan is a character from history whom many people would now know. If the name doesn’t ring a bell, then he was one of the villains in the movie – Jodha Akbar. He was son of Maham Anga (Illa Arun) and killed Atgha Khan (played by Raza Murad). Akbar (Hrithik Roshan) then defeated him in a fight and threw him down from his fort. When he was not killed, Hrithik had ordered his servants to bring him up and throw him down again. The scene depicted is actually true. Maham Anga was Akbar’s wet nurse who used to feed him as an infant (According to customs, the mother who was the queen did not use to do it but a trusted nurse was appointed). Adham Khan, hence became the ‘milk-brother’ of Akbar. When he was an infant, Akbar was force-ably taken by his uncle (chacha) and kept captive (to be used as a shield in case Humayun attacked). Maham Anga had voluntarily gone along with her own son to take care of Akbar. All three remained captive for nearly 12 months. Years later, when Akbar appointed Ataga Khan as Prime Minister, it enraged Adham Khan (obviously he was expecting the job) and he went on a rampage killing Ataga Khan in the process. As a result, Akbar threw him down the ramparts of his fort in Agra. Few days later, Maham Anga also died of grief. Akbar, who had deep sense of gratitude for them, decided to make Adham Khan a tomb. 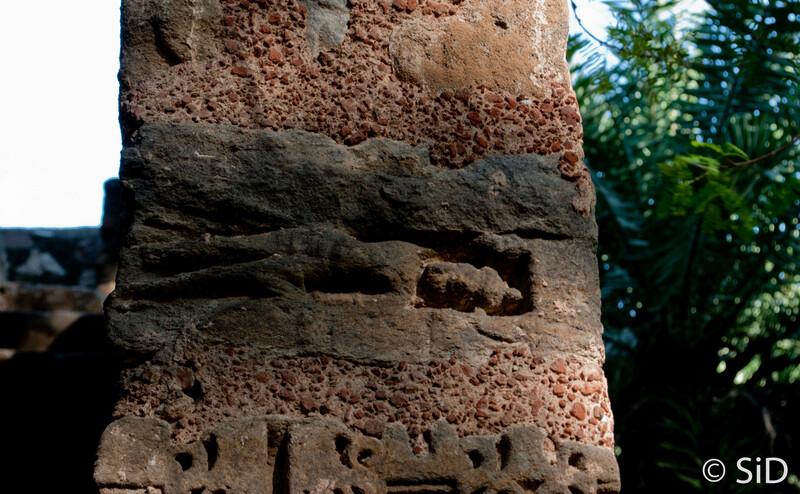 Maham Anga was also later buried along her son. 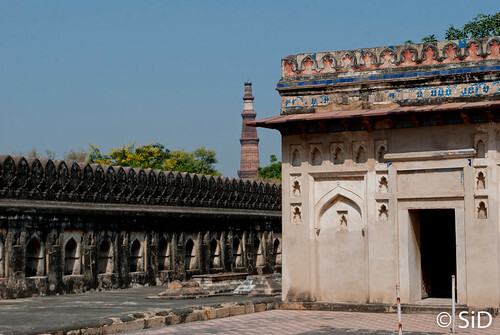 The tomb lies dilapidated in the midst of the Mehrauli market just behind Qutub Minar. I have recently started reading a quintet on five Mughal emperors by Alex Rutherford. The first one was about Babur. Towards the end it is all about his conquest of India and establishing the Mughal empire here. This he did by defeating the Lodhis. In the Lodhi king’s court, there was a poet – Jalal Khan a.k.a Shaikh Fazlullah a.k.a Jamali (He is said to have the same status as Tansen did in Akbar’s court). Later as the power shift happened, he also was a member of Babur’s son – Humayun’s court. Jamali designed the mosque at Mehrauli near the Qutub Minar. 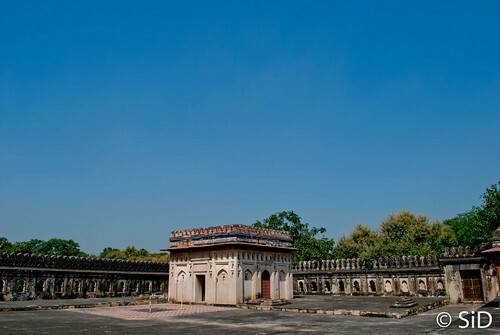 The design is similar to that in Purana Quila – the difference being that it is said that this was the first mosque to have such a design. But what is truly amazing is the adjoining tomb. The tomb was designed and prepared (1528) before Jamali died in 1536. There some rare Persian work on the flat roofed structure. The whole place is right now disputed. Right to pray there by the community members on one hand and the archaeologists wanting to save the site on the other. 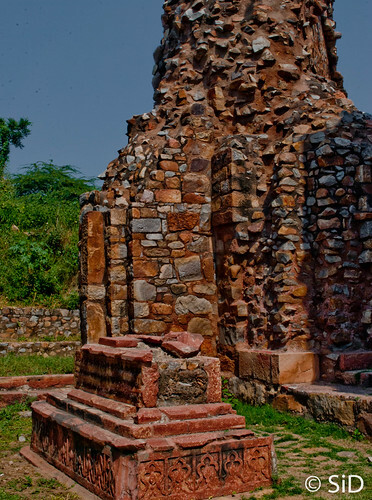 Obviously if people are given easy access to this place, there will be nuisance – as it is there in the rest of Mehrauli Archaeological park (broken signboards, information boards etc). Due to the dispute, the place needs special permission to visit. It was courtesy Vikramjit (who was leading the photo walk) that some clicks were possible inside the tomb which is worth a dekko. There is a sense of disproportional inside – reason similar to that in the Taj Mahal. Taj Mahal is exactly symmetrical in every way except one. 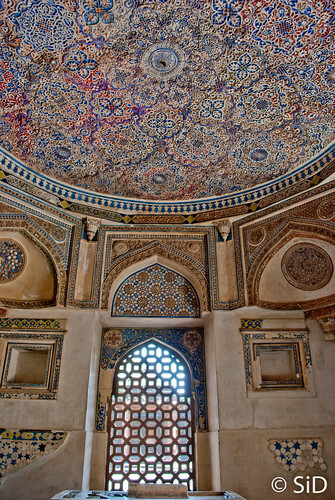 It was designed to have one tomb – that of Mumtaz Mahal but Shah jahan was buried there too thus spoiling the symmetry. It is similar here. The design seems to have been for Mr. Jamali only. But a certain Kamali – supposedly the best friend of Jamali, was buried there alongside (perhaps much later). The work on the walls is amazing and the roof tops it – literally and figuratively. 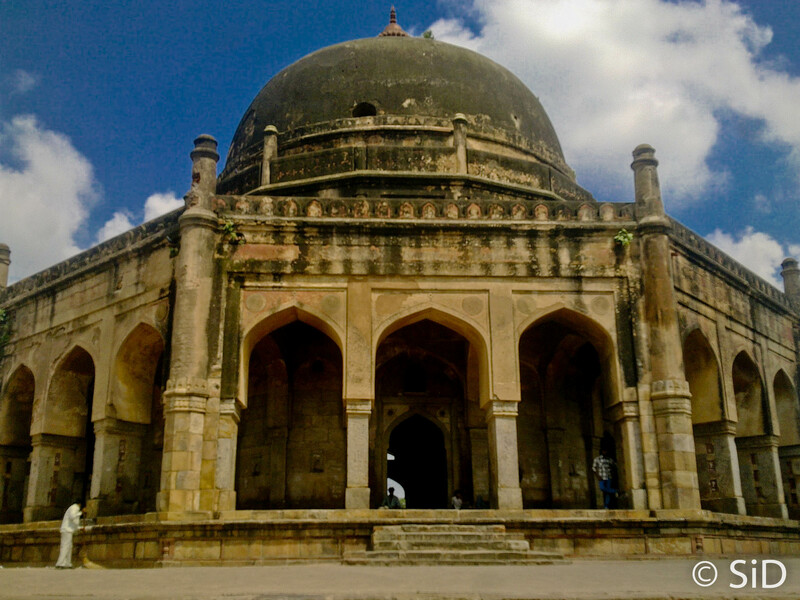 Mehrauli is full of monuments from a wide range of eras. Jamali Kamali tomb and mosque come from an interesting period. India’s history generally draws a line in 1527 when the Sultanate period ended after around 300 years and ushered the famous Mughal era which was to last another 300 years. Jamali Kamali stand – or rather lie at either side of that line.